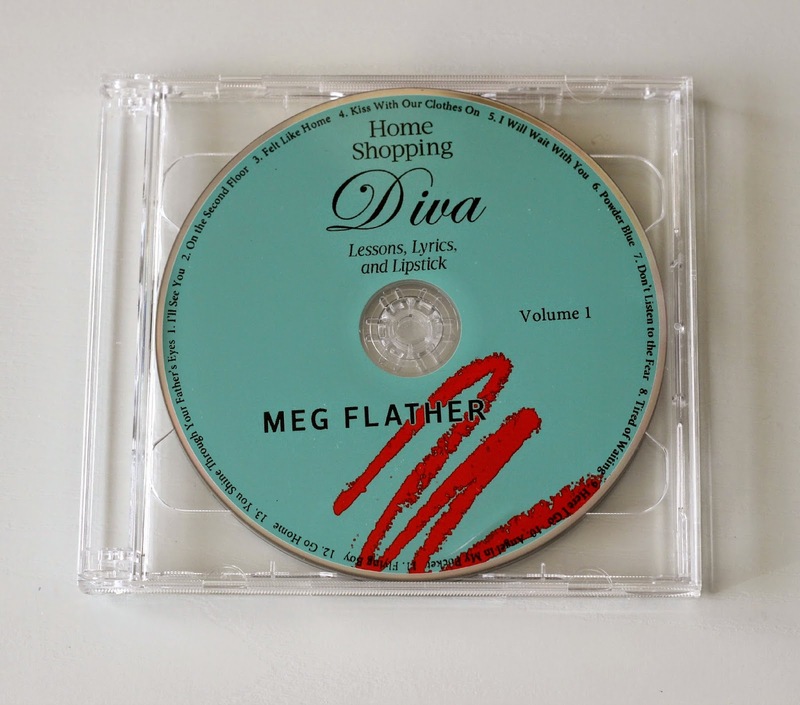 Home Shopping Diva: Lessons, Lyrics, and Lipstick by Meg Flather | Book + CD Review and Giveaway! One thing you may not know about me is that I love a good book. Of course I love reading in general (*hint* blog reading consumes a LOT of my time), but there is just something about losing myself in a fictitious or real-life story that always captivates me on so many levels and helps me see life from a different light. My love for writing actually grew from reading dozens upon dozens of books in my early childhood. Many evenings were spent visiting the local library and perusing the shelves for a gripping story. 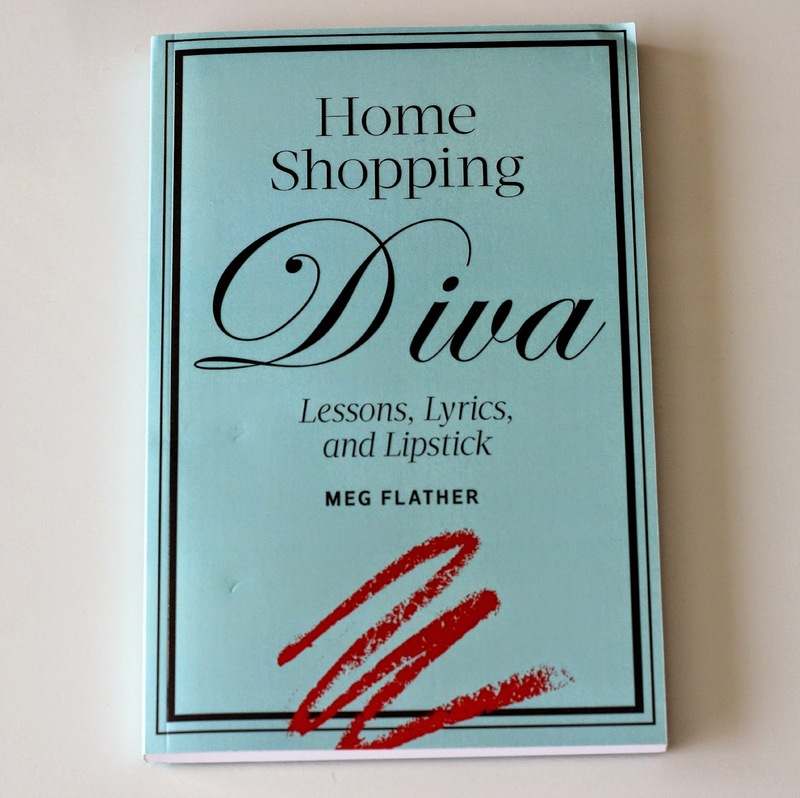 I've accumulated quite a few favourite books over the years, and one that has recently been added to my book shelf is Meg Flather's Home Shopping Diva: Lessons, Lyrics, and Lipstick*. This memoir not only shares Flather's love for the beauty industry with funny and uplifting stories, but it will also make you reflect on the journey that is life and how important it is to take every opportunity as a new challenge, work hard, and never give up on your dream or passion. I wanted to share Flather's great life story with you, because not only did I find it very inspirational, but also, in many ways, very relatable to some of my own experiences. If you have watched my most recent video, you might already know that I've been planning a little giveaway, so if you would like to win a copy of Meg Flather's book, as well as her accompanying musical CD of the same name, keep reading because there will be a giveaway at the end of this post! Without going into too much detail (because my description of this fantastic book would not do it justice), Flather recounts the ups and downs of her colourful career as a singer/songwriter, commercial/voiceover actress, makeup artist, product developer, marketer, salesperson, and trainer (and the list of talents goes on! ), but also of her personal life through her relationships with family and friends, mentors, and even her riveting and heart-felt journey to finding her soul mate. 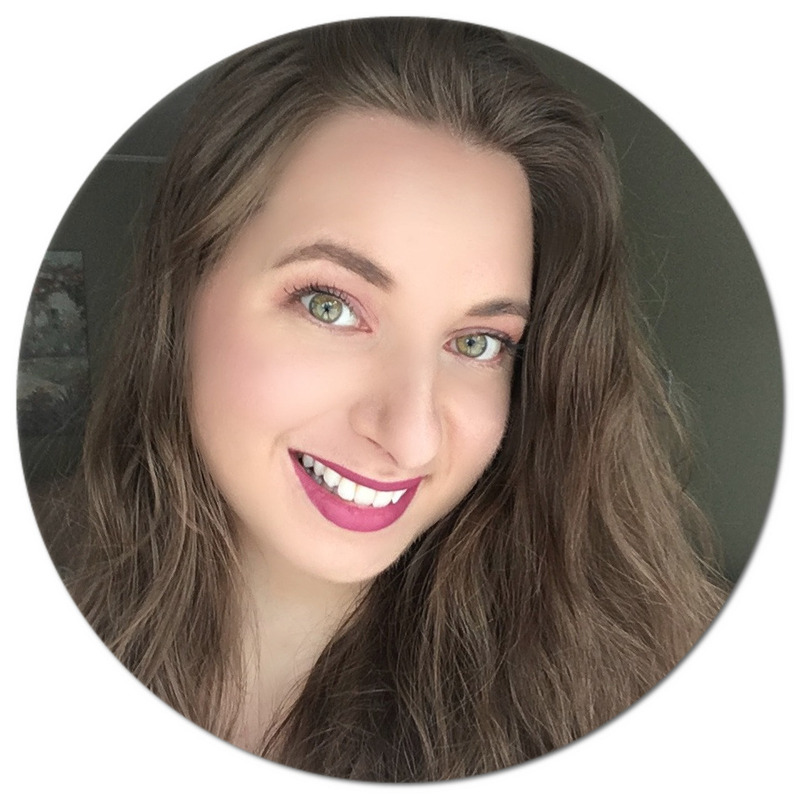 Her love for theatre, singing, acting, and all things skincare and cosmetics (having worked with twelve international brands, including Olay, Clinique and Yves Saint-Laurent, for a grand total of over 25 years experience in the beauty industry... how impressive!) are what led her to eventually become one of QVC's and Canada's The Shopping Channel's most recognizable personalities as brand ambassador and spokesperson, where you can still watch her today capturing television viewers with her undeniable wit and charm. As soon as I finished reading the first chapter of Flather's memoir, I knew I was in for a memorable read, and once I got to the end of the book, I wish it hadn't ended. I felt empowered to accomplish at least half of the amazing things she has accomplished in her life so far. Her resume is quite impressive if I do say so myself, and one talent that you can "hear" for yourself is her beautiful singing voice on her Home Shopping Diva CD set: Pt 1 and Pt 2*, comprising 27 songs that recount her life story in a cheery and uplifting way, lyrics of which can be found between each chapter of her book. Truly, her book is one that I will be re-reading many more times, along with her music which I play whenever I am in need of some inspiration and heart-warming lyrics. Home Shopping Diva was very compelling as it made me reflect on my own life and the vision I have for my future. I highly recommend this book - it is both gripping and entertaining, and has personally helped me put things in my own life into perspective. You truly will not be disappointed by this great read! 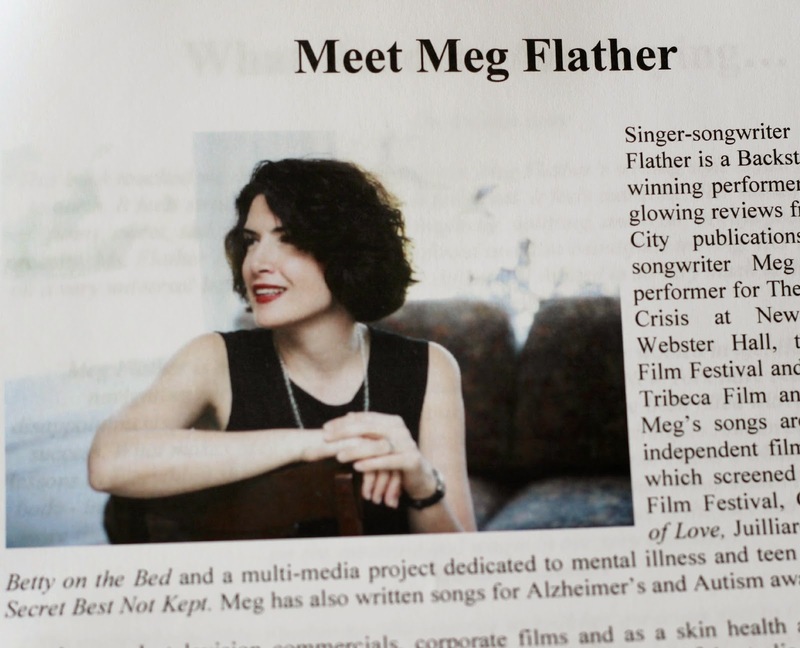 If you would like to learn more about the woman behind the book, you can check out Meg Flather's biography here. And now for the giveaway! 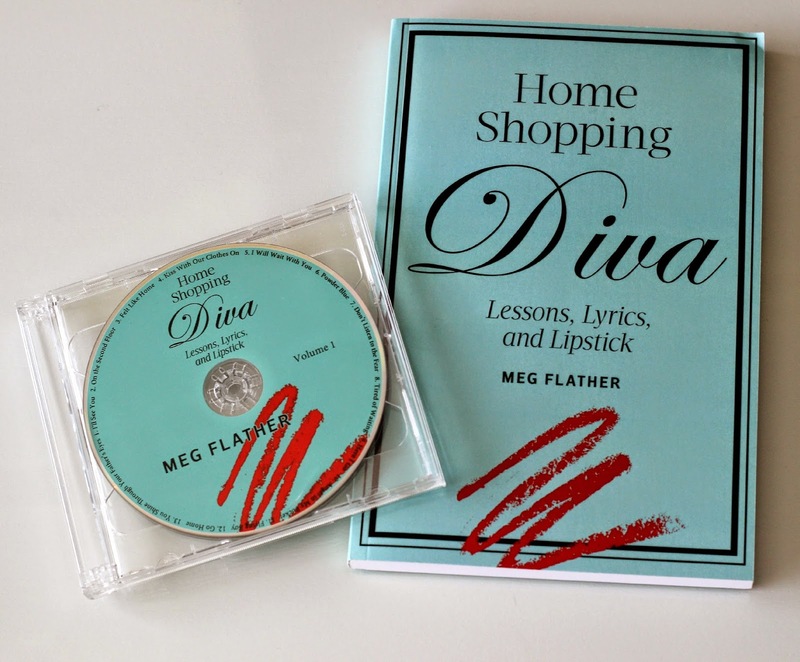 One lucky reader of Natalie Loves Beauty will win Meg Flather's Home Shopping Diva: Lessons, Lyrics, and Lipstick book and CD set! This giveaway is open to Canadian and US residents only. To enter, simply fill out the box below. Please note that the first five entries are mandatory, and more entry options will appear once completed. The more entries you complete, the higher your chances of winning. Good luck! Very interresting! I'm a big reader, always like to have suggestion! This one Is new for me. Thanks. I have never listened to a book but I can't recall a time in my life when I was not reading. Right now I am reading a book called Midnight which is really interesting before that I was tackling the Game of Thrones series. This sounds interesting and very enlightening! Hi! I'd like to win because I like to read & it's about shopping and beauty. Fantastic!! Thank-you for the fun chance!! This book sounds very interesting and the musical CD is a neat addition. I sometimes watch QVC and will have to look for Meg Flather (if she's on in the US). Thanks for the opportunity to win it.